Second year in Kasensou Private Preparatory Academy, and Mayuri's classmate. Born biologically male. She has the personality of a polite, well-groomed and justified kind of beautiful girl. Her biggest wish is to be born again as a female. She uses honorifics specifically with Rintarou. Doesn't push her opinions much upon others, but when she does she's quite bashful and blushes quite a bit. Because she's quite serious by nature, she simply believes what others say. Thanks to that, she thinks all the ridiculous stuff Rintarou talks about is that of reality. Rintarou makes her out to be his student on his own, and is currently in the middle of brainwashing her. She's a very shy person, and often turns down Mayuri's requests to cosplay. She eventually gets her wish and sends a text to her mother's pager, telling her to eat more vegetables. This is said to help increase the chances of a child becoming female. 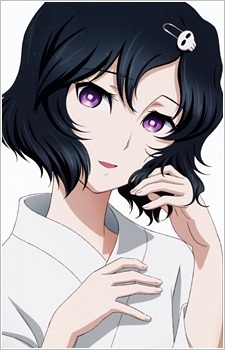 Okabe experienced a shift in the world lines and Ruka is successfully changed into a female. This is all undone eventually in order for Rintarou to save Mayuri. Top 12 Best Crossdressing in Anime: What is a Crossdressing? Crossdressing in anime is mainly played for laughs and giggles, but you might be surprised at the depth some anime crossdresser characters exhibit, each with their own reason for dressing the way they do. Let's explore this complex theme with the help of some of our favorite gender benders!